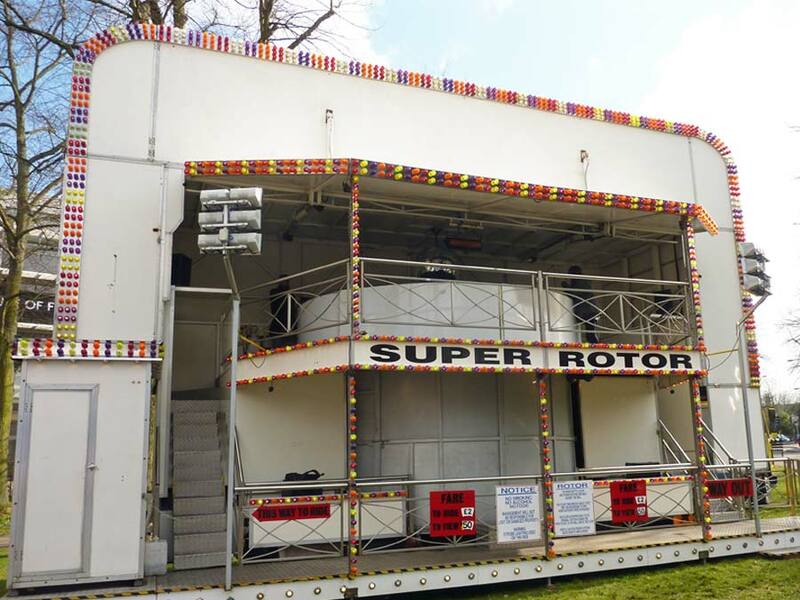 The Super Rotor is a fun ride catered for teenagers and adults that stick to the wall when the G force takes over. It's a must if you've never tried this ride! This rides takes up to 2 hours to set up.